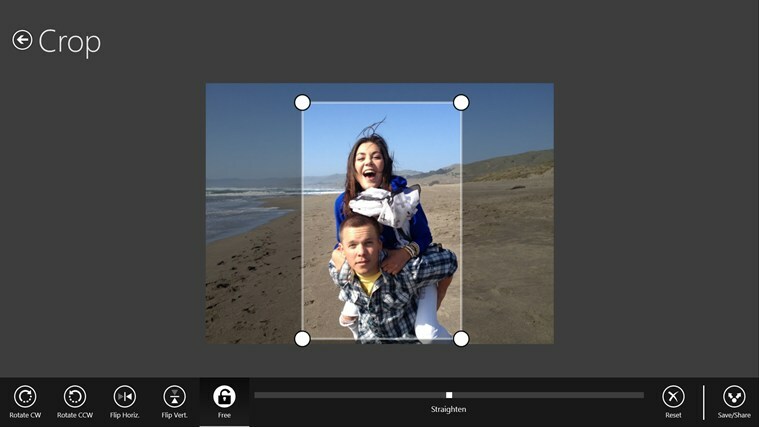 Adobe released its Photoshop Express application for Windows 8 and RT devices. Adobe Photoshop Express is an awesome photo editor app previously available for Android and iOS devices. Now it comes to Windows 8 and RT. With this app users can edit images easily with smartphone and tablets. It allows you to crop, rotate, Remove red eye, Adjust colors and can add more than 15 cool effects to your photo. After you have edited photos, you can share your photo to friends via .Email and Facebook. By uploading your photo to Adobe revel you can sync your photos across various devices.